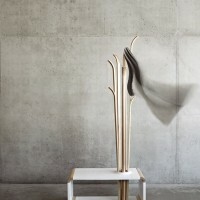 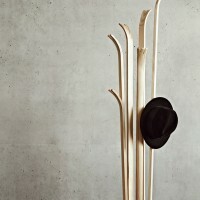 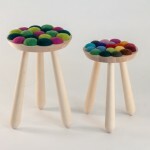 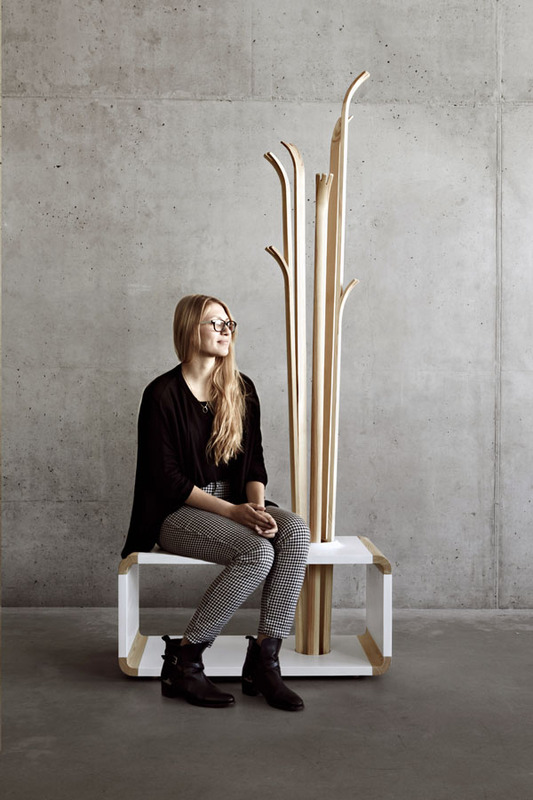 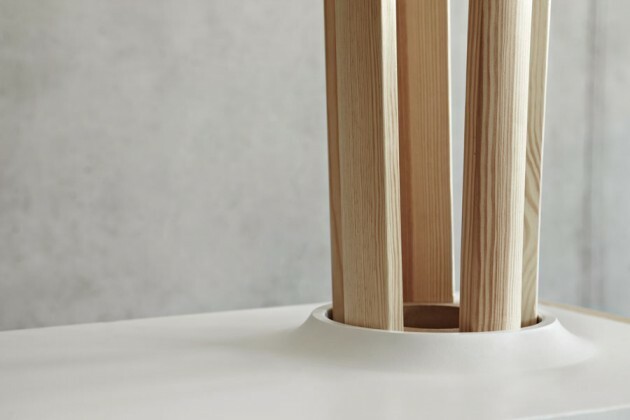 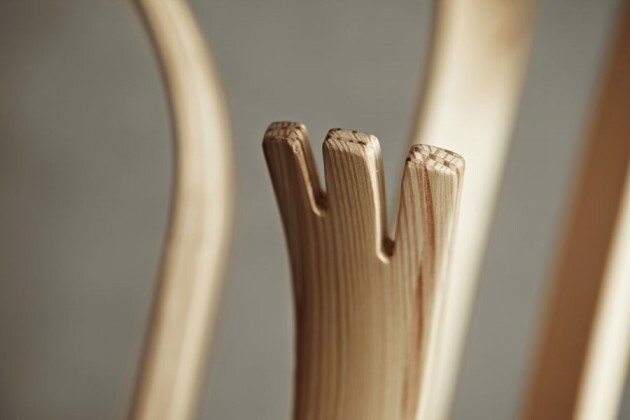 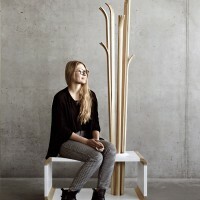 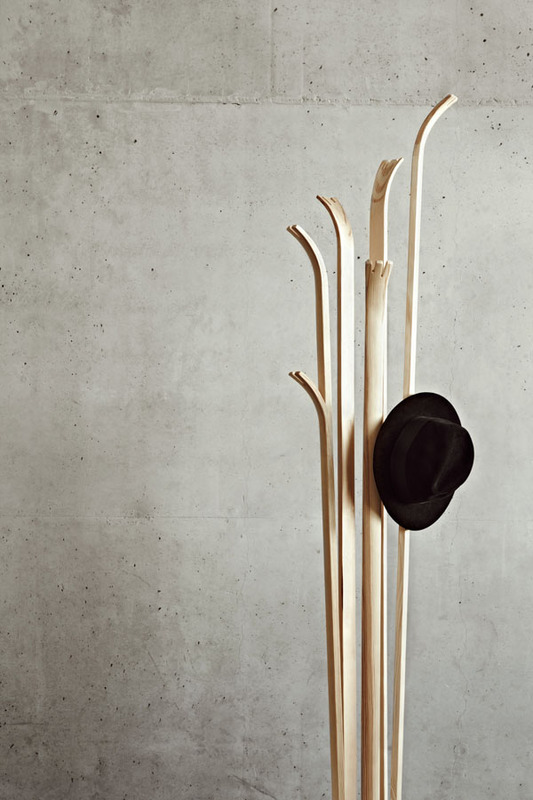 Alicja Prussakowska has designed Tilia, a freestanding hanger that doubles as a seat. 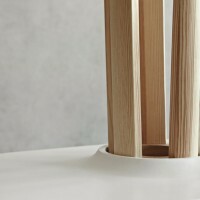 This object was designed to be fitted in the hall space.While designing the form of the hanger I was inspired by shape of the grass blowing in the breeze. 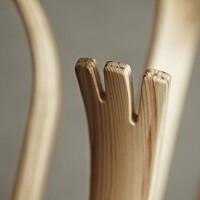 Sublime detail highlight the beauty and nobility of the wood and presents the value of traditional craft. 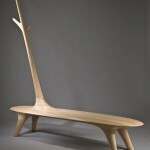 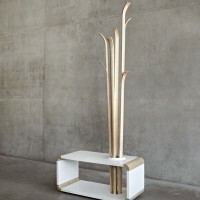 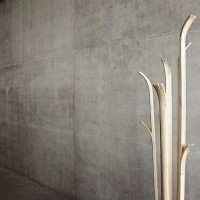 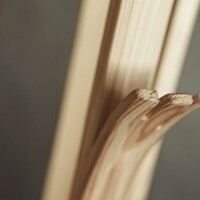 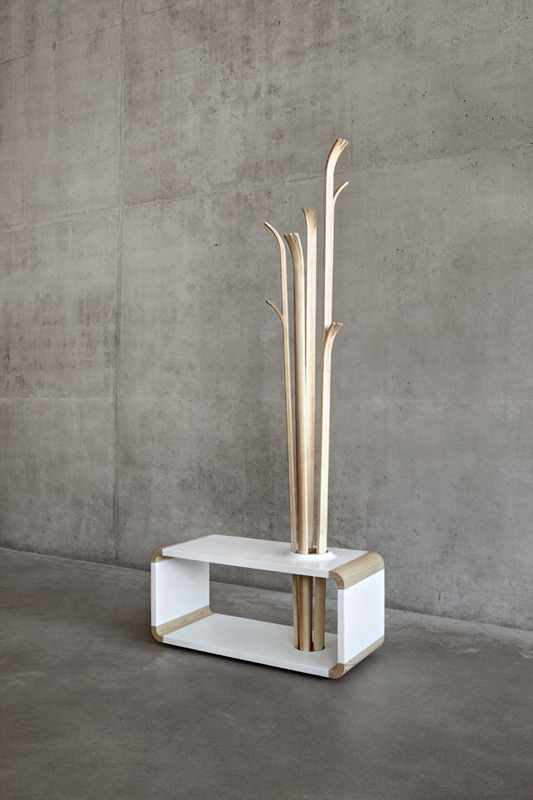 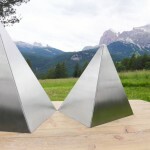 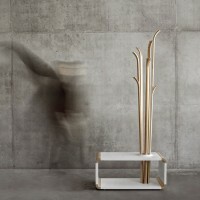 The associations with the human-friendly natural environment and the feeling of comfort and freedom of use, the originality and uniqueness of this piece of furniture as a master work of human hands, distinguish this hanger among mass-produced furniture.